GOOD LUCK, RON PAUL, YOU’LL NEED IT! Absent anyone who’s seen the cat, I’d like to see Ron Paul get up as leader of the Republicans. That’s because he’d put the wind up the military and up munitions manufacture, arguably one of the few remaining great US industrial successes these days. And that’s the main reason Ron Paul won’t make it. 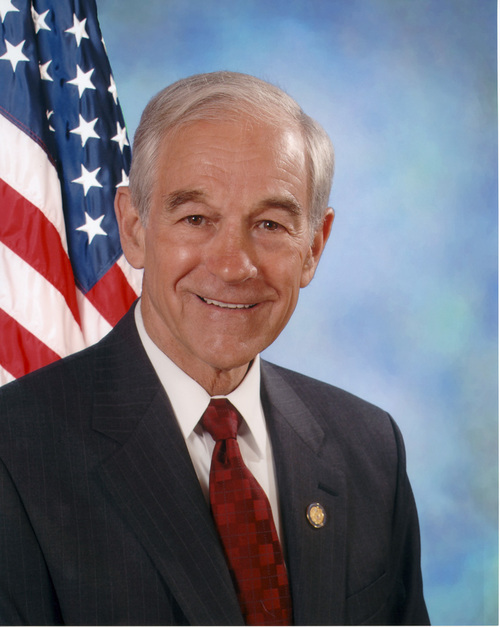 Many Americans are only too aware of how success and leadership is beginning to wane in the world’s greatest democracy, and it will be possible for his competitors to generate enough irrational fear that having Ron Paul as leader of the Republican Party equates to the US losing its military supremacy. Like all disciples of Von Mises, Rothbard, et al, Ron Paul is unfortunately more concerned with money, exchange and the determination of prices than with the laws of production and distribution of wealth which supporters of Henry George know take precedence over money, credit and prices. Paul’s near-coherent economic policy is better than that of his opponents though, but like Austrian economics in general, it suffers the fatal flaw of not being able to distinguish land from capital. Conflating them won’t allow the distinction that needs to be drawn between earned and unearned incomes to defeat the depression. Oh by the way, I can imagine hearing that famous Hymn being sung from the pews of the tabernacle. ‘I am a corporation of God….’ Or is it ‘I am a pawn of the corporation’ I can only guess Mitt is betting on his lucky temple garments he’s going to win? But If ‘Corporations are people’ and the people are the church or body of Christ then the Mormon Church incorporated is a man, and the number of that man is 666. The idolatry of the corporation as Man & man made religion, is not divine established, as Paul stated, that all works of men are in vain, and they preach the doctrines & commandments of men mingled with scriptures & philosophies of men, having a form of godliness, but denying his authority. As for setting up a church, the first vision, statement verse of ‘other things that cannot be written at this time’ was probly a command that, I forbid any church to be established. Meanwhile the true believers can sit back with their favourite cold caffeine drink, Kolob-cola and watch the elections on TV. I’m no John Bircher, but I do recall the United Order and its theocratic economic system was essentially communistic, ‘Competition is a Sin, which is Mormon-opoly, so we can only have all things in common, except if you’re the Mormon Oligarchy with a Harem and tithing paid mansion and stipends that would make the fortune 500 envious. No doubt any economic plans are as Fake as a three dollar bill issued by early Mormonism’s ‘anti-banking Co. Opposite PG 202 Fawn Broadie – ‘No man knows my History’. Or was it No wife knows my history Including Emma? Good luck with the Squid Vampire ZION ponzi order, But, its simple, No land tax, no all things common amongst all men & the saints. The floating mansion is symbolism of the invisible foundations, which is the printing of money, bail-outs and other malevolent ponzi schemes of derivatives and dubious financial tools set up by the constant need to be replenished by taxpayers money to float the grand mansion and its designs When they could have had a foundation of Gold (Gold backed money) they choose the instability of paper money with no backing. Ron is the only hope to restore the foundation of classical economic prosperity. Not Shaw he’s into Henry George. Using Type & Shadow of Mormon Vision explained as parable-: There is a wide gulf or river between the mainline Neo-cons and constitutional Libertarians of Ron and his followers who hold to the iron rod that leads to the tree of life (the constitution). On the other hand Mormon-opoly Mitt and the rest of the Neo-cons stand in the great and spacious mansion that appears to float with no foundations, they party on oblivious to the financial and economic crisis in their fine clothes, pridefully boasting and speaking smooth and flattering things to their guests who appear to be in the gesture of pointing their finger and mocking Ron and his followers who meekly hold to the Rod of Iron of truth, that made the Republic great.